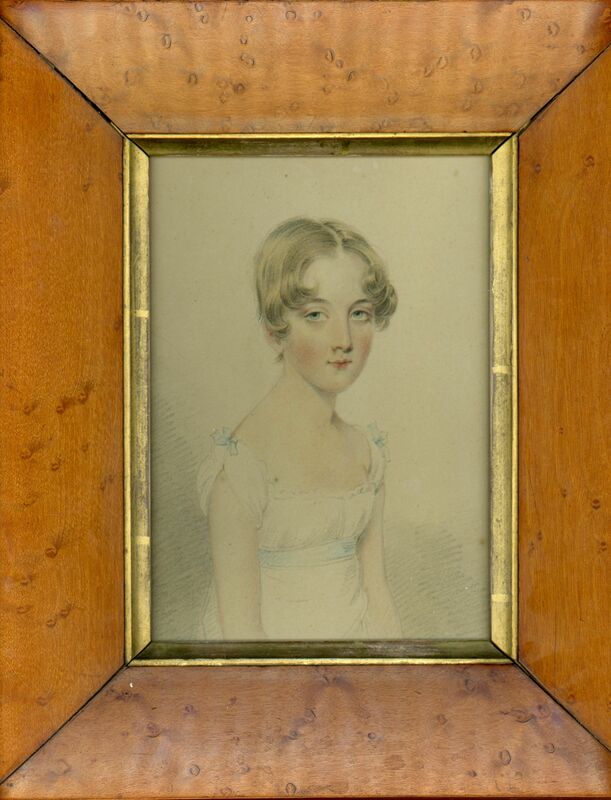 An enchanting half-length study of a young girl named Mary. 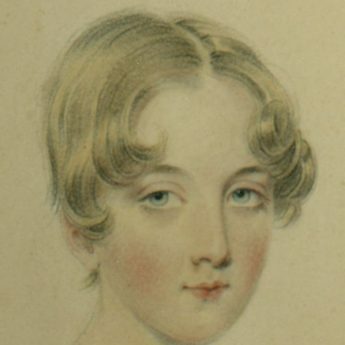 With her hair fashionably cropped and arranged in curls around her face, Mary is wearing a simple white muslin dress with a square neckline, a blue ribbon sash on the waist and matching bows on the short sleeves. Pencil and watercolour on card, the portrait is housed in a handsome flat profile bird’s eye maple veneer frame with a gilt slip. 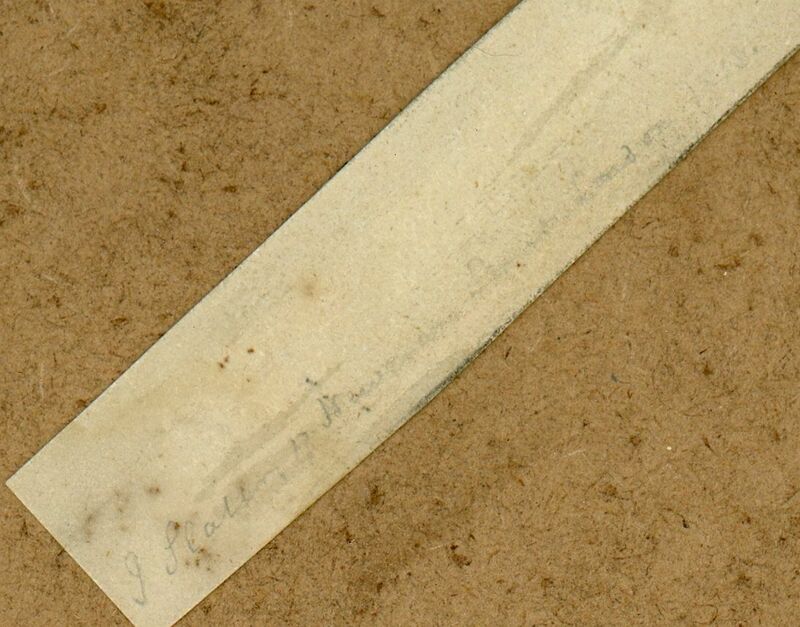 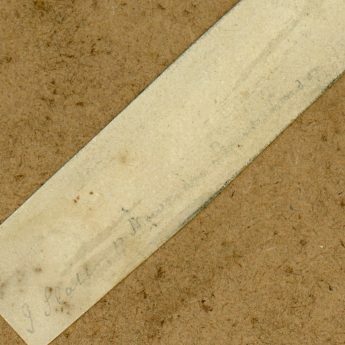 There is a clipped pencil signature on the backing board – ‘J. 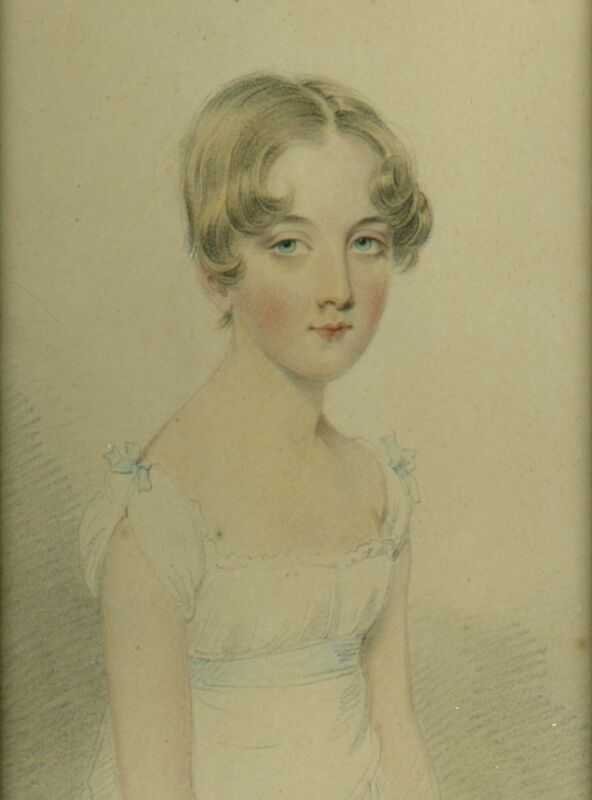 Slater, Newman St, London 1813’. 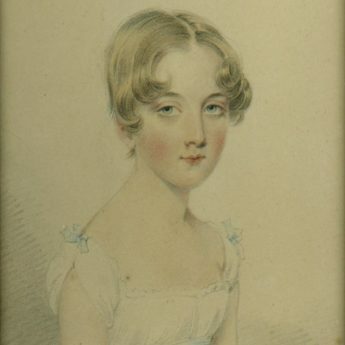 Josiah Slater (c.1780-1847) ran a successful portrait studio in London. 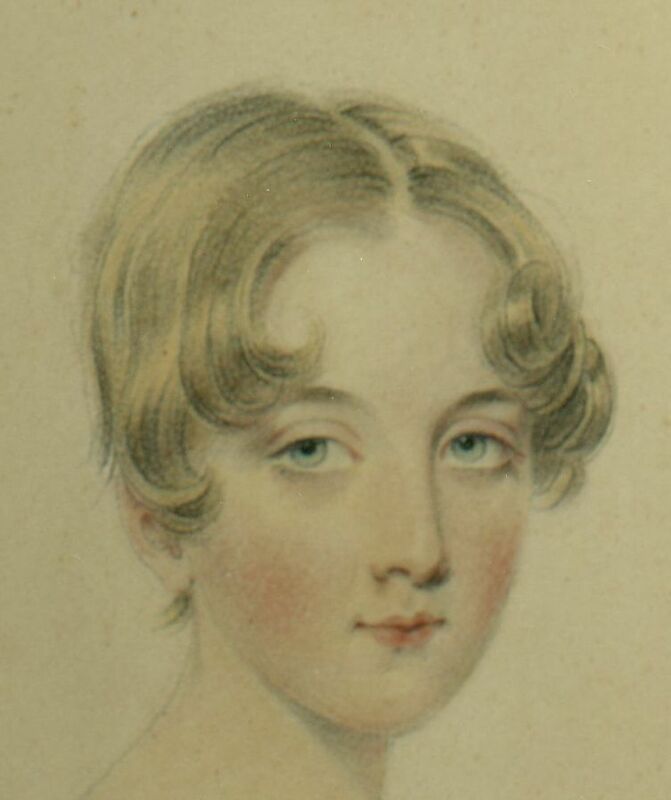 He exhibited at the Royal Academy between 1806 and 1833.